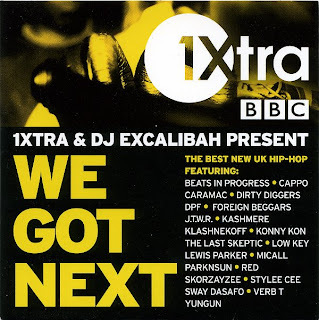 After delving back into a very limited CD collection for some British biznizz that can legitimately be given away to you freeloaders, this little gem cropped up. 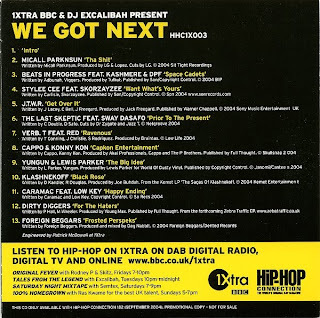 We Got Next was put together in 2004, back when Excalibah was still 1Xtra’s poster boy for UK hip hop. HHC asked him for a mix of the latest and best, and he delivered just that.